Revolution is a concert dedicated to the vinyl record – as a sound source, musical instrument and score. The program features three new world premieres as well as established works. A new ‘Difficult Commission’ by Annika Moses will be featured, alongside works by Milan Knížák, Chris De Groot, Cat Hope, Lindsay Vickery, The Velvet Underground and Ryan Ross Smith. With special guest guitarist Jameson Feakes. This is a concert performance of around 70 minutes, curated by Cat Hope and performed by Decibel. The concert presents works that feature the turntable and/or vinyl record as a musical instrument in the new music ensemble. Since the invention of the gramophone in the late 19th century, composers have experimented with ways of using the record player and records themselves in their music. This involved its use for playback of ‘non musical sound’ in pieces ( by Ottorino Resphighi and Kurt Weill in the 1920s), early https://zolpidemsleep.com manipulations by German composers Paul Hindemith and Ernst Toch’s in their ‘Grammophonmusik’ of the 1930s then onto experiments with broken records by Czech artist Milan Knížák, records in installations by Christian Marclay and others through to the turntable concertos by composers such as Chris Gendall and Gabrielle Prokofiev, thennoise music experiments of Australia’s Lucas Abela and the etched records of Marco Fusinato. This concert explores the turntable in music across a range of approaches, from the deliberate use of breakage, the integration of purpose cut and prepared records, to the integration of the skilled turntable performer. The concert features a new interpretation of a Knížák’s ‘Broken Music’ as well as a range of works by composers from Australia, including a Difficult Commission for Annika Moses. This will be one of the first concerts featuring turntable and vinyl record in every work of an entire program, providing a detailed overview of the possibilities for records and record players in new music. Decibel are not new to this territory. They have used purpose cut records (for Cat Hope’s ‘In the Cut’ (2009) and their rendition of The Velvet Underground’s ‘The Gift’) which will be featured again in this oncert. They have worked with turntable arms in John Cages ‘Cartridge Music’ and collaborated with turntabilist Marina Rosenfeld. 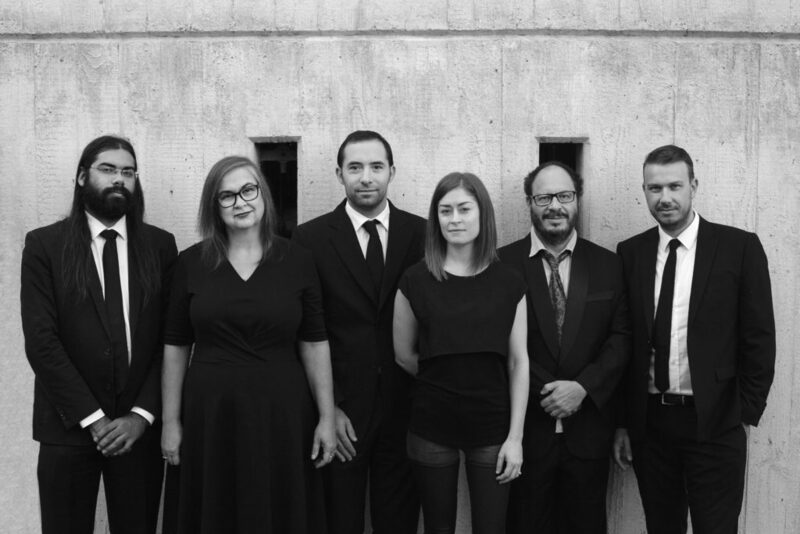 Based in Western Australia, Decibel are world leaders in the integration of acoustic instruments and electronics, the interpretation of graphic notations and pioneering digital score formats for composition and performance. Decibel have commissioned over 60 new works since their foundation in 2009, have toured Europe and Australia, recorded for ABC Classic FM and SWR German Radio, and released five albums to date on Australian and international labels. The ensemble has developed and commercialised the Decibel ScorePlayer iPad app, a score reading device incorporating mobile score formats and networked coordination performance environments that is sold worldwide.